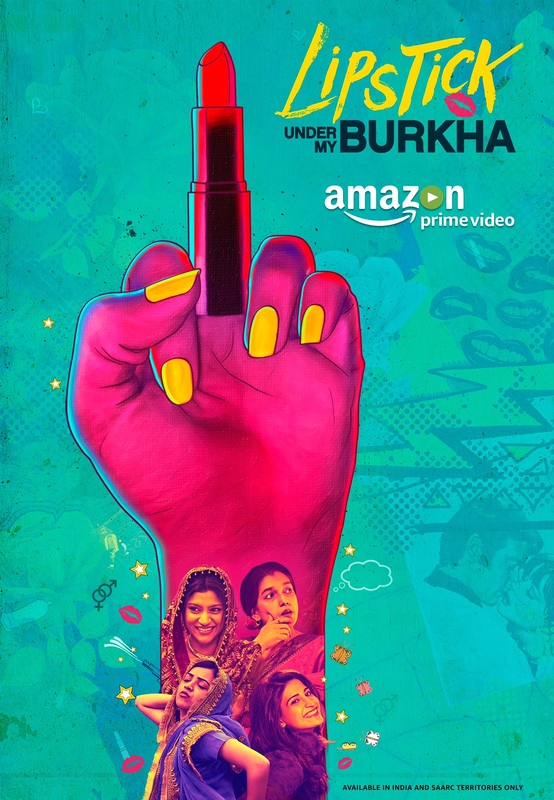 Amazon today announced an exclusive content deal with Prakash Jha Productions for the exclusive premiere of the award-winning and much-talked about movie, Lipstick Under My Burkha, available only on Amazon Prime Video from August 15. Amazon Prime Video will be the exclusive home for the feature film which will not be available for Satellite/Television broadcast. Prime members from all SAARC territories, including India, will gain access to the movie starting August 15 – within weeks of its theatrical release. Set in the crowded by-lanes of small town India, Lipstick Under My Burkha is a feminist drama that delves and explores the sexuality of four women and chronicles the secret lives of these four feisty women chasing a little piece of freedom. Though stifled and trapped in their worlds, these four women claim their desires through small acts of courage and stealthy rebellion. The film has received rave reviews from Indian critics, and has done commercially very well in theatres and it continues to travel the world through film festivals in different countries. Directed by Alankrita Shrivastava, the film stars veteran actresses Konkona Sen Sharma, Ratna Pathak Shah as well as fresh faces Aahana Kumra and Plabita Borthakur in lead roles along with Sushant Singh, Vikrant Massey, Shashank Arora and Vaibhav Tatwawaadi. Much before its Indian theatrical release, Lipstick Under My Burkha sweeped over 11 international awards and several nominations and has received global recognition across over 35 renowned international film festivals such as Tokyo International Film Festival, Glasgow International Film Festival, Miami International Film Festival, Shanghai IFF, Cairo IFF, to name a few. It was the opening film at the Los Angeles Indian Film Festival, which was also an official Hollywood Foreign Press Association Screening making the film eligible for the Golden Globes. Amazon Prime Video has the largest selection of latest and exclusive movies and TV shows, stand-up comedy, ad-free across Indian and Hollywood movies, US TV shows, top/popular Indian and international kids’ shows, award winning Amazon Original shows along with content from top Bollywood, regional, Indian and international studios – all available in one location/service. 15 queries in 0.526 seconds.